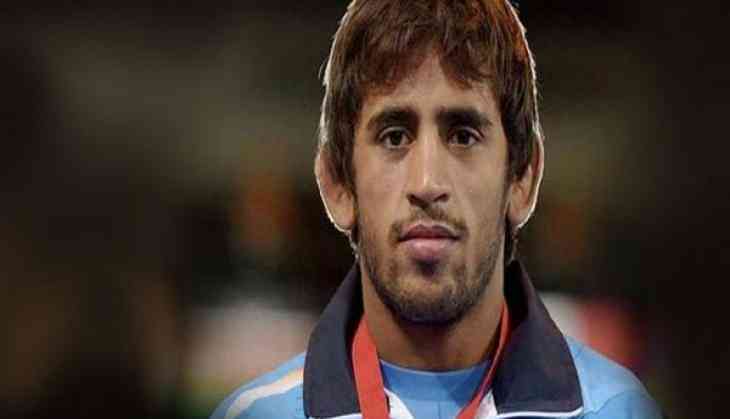 Indian wrestler Bajrang Punia clinched a gold medal in 70 kg category at the Yasar Dogu International on Sunday. The 24-year-old did not have to compete in the final match as his Ukrainian opponent Yasar Dogu withdrew from the decisive game owing to an injury. In the quarter final-clash, the wrestler had thrashed Mustafa Kaya of Turkey 15-4 by technical superiority before edging past Iran's Yones Emamichoghaei 10-10 in a thrilling semi-final. Punia had earlier this month won a gold at the Tbilisi Grand Prix in Georgia. While Sandeep Tomar clinched silver medal after being defeated by Iran's Mohammadbagher Yakhkeshi 3-6, Vicky had to settle for bronze in 57 kg category. In women's event, Pinki won gold in 55 kg category registering a 6-3 win over Ukraine's Olga Shnaider in the final bout. Commonwealth Games silver medalist Pooja Dhanda and Seema won silver in 57 kg and 53 kg category, respectively while Olympic Bronze medalist Sakshi Malik could not reach the medal round in 62 kg category. In the three-player 72 kilogram category, Rajni finished second on the podium while Sangeeta Phogat won a bronze medal in 59 kg category. Overall, Indian wrestlers won 10 medals in a three-day tournament which concluded on Sunday. You won't believe which TV actress, Sanju actor Vicky Kaushal is dating! READ NEXT >> You won't believe which TV actress, Sanju actor Vicky Kaushal is dating!